As a preventive measure, the Department of Public Works and Highways in Biliran province will only allow vehicles with a capacity of 15 ton weight to pass the Biliran Bridge. 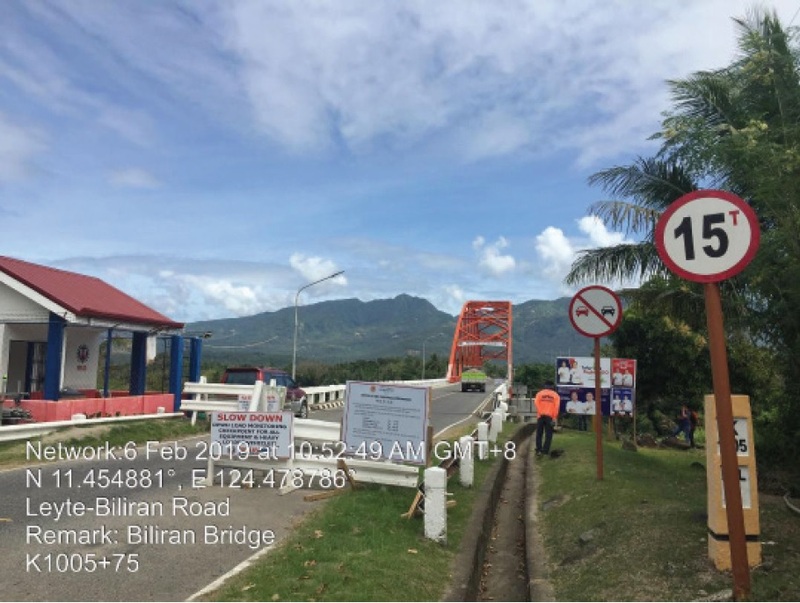 NAVAL, Biliran-The Department of Public Works and Highways (DPWH) – Biliran District Engineering Office (DEO) informs the travelling public to strictly observe the maximum 15-ton allowable weight limit for vehicles passing Biliran Bridge. District Engineer David P. Adongay Jr. said that Biliran DEO is conducting a load monitoring checkpoint for all equipment and heavy loading vehicles crossing the bridge for safety precaution. To prevent deterioration, damage or any danger of collapse of bridge, Adongay said that they have deployed maintenance personnel to guard the bridge 24 hours against overloading heavy vehicles. Meanwhile, Engr. Glenda G. Dagalea, chief maintenance engineer, said that they only allow heavy equipment vehicles to cross Biliran Bridge one at a time to preserve the old structured bridge. For hauling equipment vehicles, a maximum of 250 bags of cement is allowed to be loaded on a single truck and a maximum of 16 cubic meter for hauling aggregates (sand and gravel). “More than the allowed capacity, should be unloaded,” said Dagalea. “We need to protect the bridge but most importantly the lives of the people and the convenience of the travelling public, so I am asking the drivers of heavy vehicles to have discipline and cooperate.” Dagalea added. The Biliran Bridge is the only access by land of the entire island-province of Biliran to the island of Leyte, and practically, of the entire Philippines.